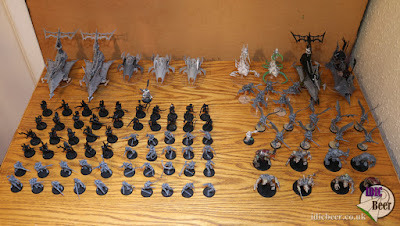 Time to make a Dark Eldar list using all the models I got for my phase one and two £25.00 Army Challenge. I know I don't have the most competitive units available to me, but having only spent fifty pound on this force, beggars can't be choosers. 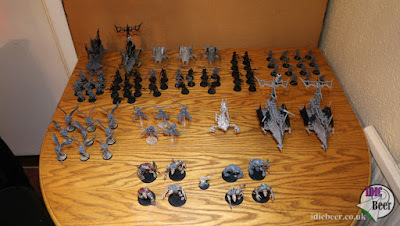 The Archon will end up with the Bloodbrides to deep strike in as the rest of the army advances forward. The one unit of foot Warriors will probably reserve to walk onto any objectives in my backfield. To be fair, that's about it. 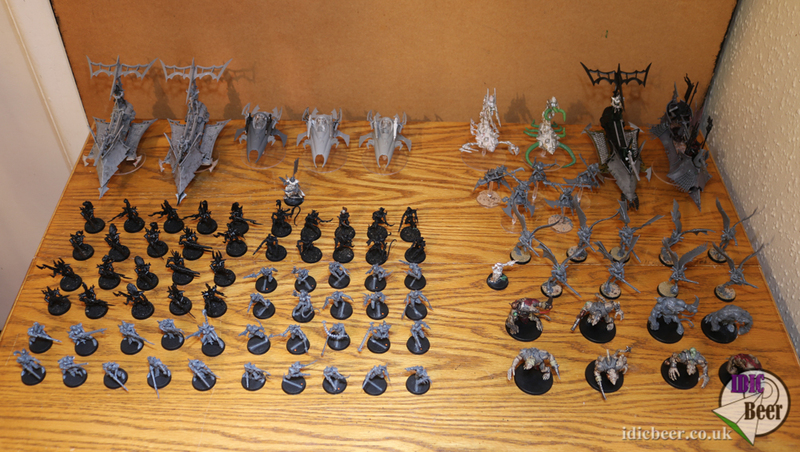 Lots of play testing and fun to be had here for sure, but first, I need to get it all painted!